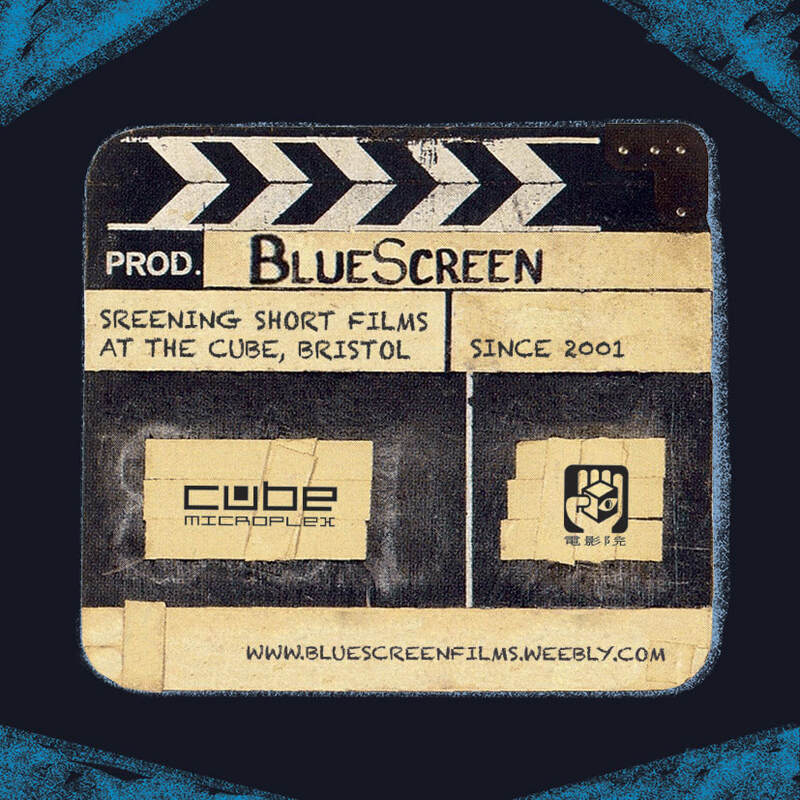 Bluescreen have hosted Open to all Film Screenings of Independent Short Films at The Cube Cinema in Bristol, England since 2001. 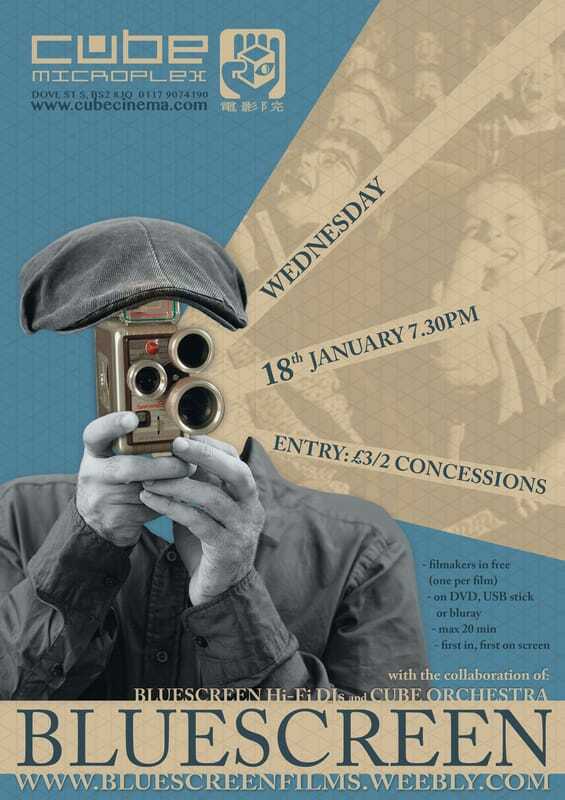 Screening Short Films made by Bristol based Filmmakers, from the Amateur & Pro Filmmakers alike. No need to submit a film..... You just need to turn up with your film at one of our events and we will screen them! Simple as that! We’ve been chatting and think we need to put a limit on the number of films we receive in at an event. Reason being, over the last year we have had several nights, where we have had 2 -3 and a half hours’ worth of films in, which on one hand is great but it ends up being a very long night for all and the last few films shown only have the filmmaker and friends left watching. So to make it fairer for all, we are going to trial limiting Bluescreens to 2 hours total screening duration, and also to restrict one film to one filmmaker. This will then allow all films to be screened at a reasonable hour and also give the opportunity to the audience to stay and watch them too. SO WHAT WE ARE BASICALLY SAYING IS, IF YOU GOT A FILM, GET DOWN EARLY! Films on USB (PC or Mac) - Digital Film Files should be clearly marked with your name, film title and our name - BLUESCREEN, so it can be quickly found by our projectionist. DVDs should be playable in a DVD Player (ie. not a data file) and bring a back up disk if you can. Please do not bring Hard Drives, as they tend to cause problems when downloading films. ﻿To get the best screening experience at Bluescreen, we suggest your film should be formatted in H264 (.mp4) video compression, with AAC compression for audio. And limit the data rate to 15,000 kbits/sec and films should be no larger than 2.5 GB per file. https://handbrake.fr/ is a great free program than can help you with this. Films can be up to 20 mins in length and can be about anything at all. We do like an eclectic programme! 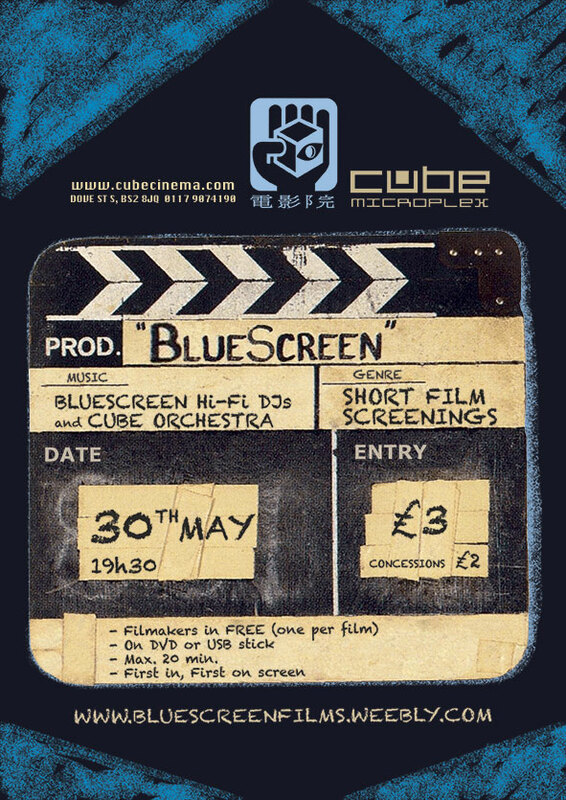 We have an Orchestra - The Cube Orchestra re-soundtracks a couple of films from the burgeoning Bluescreen Film Archive, at the start of most events now. 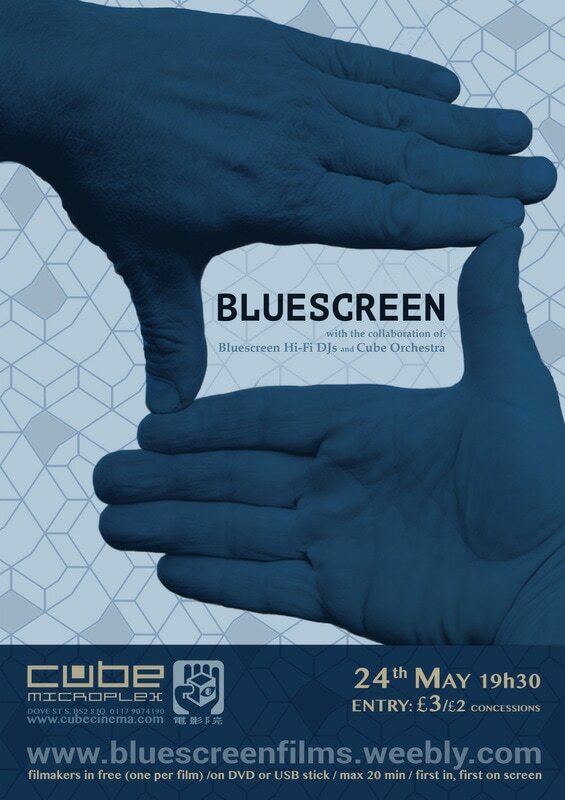 We have DJs - Bluescreen Hi-Fi DJ in the bar throughout the evening. And if time, we also dig into the Archive to re-screen classic films from Bluescreens past. We were honoured to be invited over to screen Films at the R Eject Film Festival at the International Film Festival Rotterdam 2007. We were involved in helping to organise the Bristol Filmmakers Festival 2008. And hosted a 10 year Bluescreen retrospective at the Encounters International Short Film Festival 2011. 2014 saw us screening films at Supernormal in Oxfordshire and at Moviement at Hamilton House, Bristol and there were some Bluescreen films screened at LAC - Laboratório Actividades Criativas, Lagos, Portugal, courtesy of our friends What Giants!? 2015 we provided a couple of Compilation DVDs to the Groovy Movie Picture House folks who screen films at lots of festivals. 2015/6 What Giants!? toured Europe by bike and screened some Bluescreen film Compilations on their travels. 2018 saw us programme and screen: Bluescreen Presents: 17 Years of Open Access Film Screenings @ Encounters Short Film Festival @ the Watershed, Bristol. Also check out our Bluescreen History & Events Upcoming/Events Past Pages too. Loving Short Films since 2001! 20/04/19 - New 2 hour Bluescreen! Reason being, over the last year we have had several nights, where we have had 2 -3 and a half hours’ worth of films in, which on one hand is great but it ends up being a very long night for all and the last few films shown only have the filmmaker and friends left watching. So to make it fairer for all, we are going to trial limiting Bluescreens to 2 hours total screening duration, and also to restrict one film to one filmmaker. 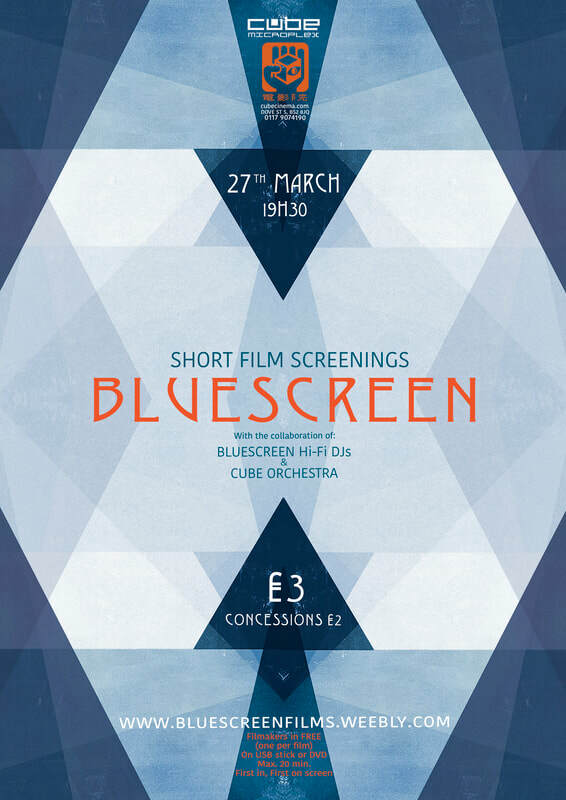 A busy night at March's Bluescreen… 21 Films screened and over 2 and a half hours of screentime!! Thanks all for coming down and especially the Filmmakers, we were treated to yet again a very special evening of great films, well done everyone! Unfortunately, we had to turn a couple of films away, which we really don’t like doing but we were oversubscribed but do come back to the next Bluescreen and we will screen it for sure then. And anyone with any links to their Films screened last night, please send us the link and we will re-post the films on here and on our Twitter/Vimeo/Youtube sites too. And lastly, we welcome Dom to the ever expanding Bluescreen team, who finished off introing the films last night. Next Bluescreen is May 29th, https://cubecinema.com/id/10372/ see you all then! 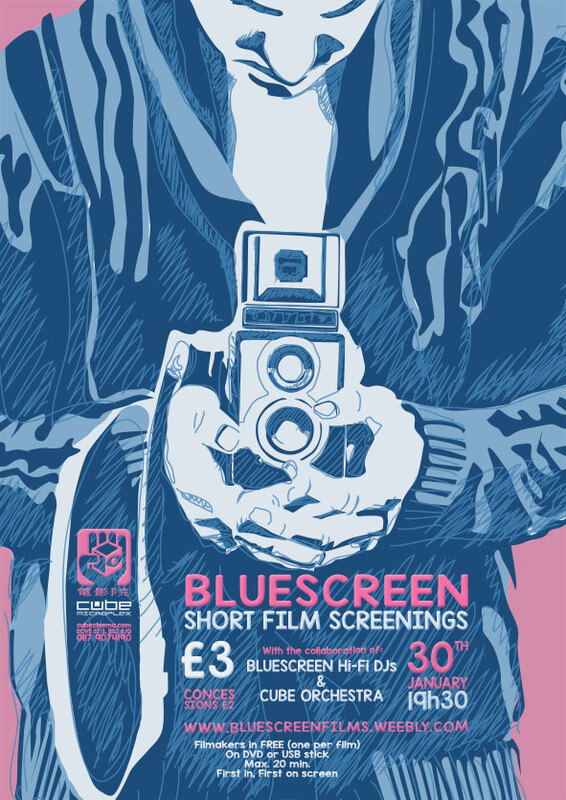 Just a quick reminder that its not long now until our next Bluescreen screenings, in fact 2 weeks today! Here's the links to our Cube Cinema programme Page and Facebook event Pages, and all you need to know about the event. Please view and share with like minded filmmakers/film viewers! Big thanks to James @ Epigram for the kind words. Another great night at Bluescreen last eve! Thanks all for coming and yet again, thanks for bringing in a great selection of films. If you have any links to your films, let us know and we will re-post them for our Page. Bluescreen is back March 27th, see you all then! 06/01/19 - Next Bluescreen Jan 30th! Happy new year Bluescreenrs! Our next short film event is Wednesday January 30th 7.30pm. And here's the Poster, again thanks Elena. Firstly, thanks to everyone for sticking with it last night, it was a long night and we had a lot of films to squeeze in and a busy Cinema. Thanks to all the Filmmakers for bringing their Films along last night, over 2 hours of Films brought in!! And thanks to everyone else who came to view, support the Filmmakers. And of course the ever wonderful Cube Staff too. What a bunch of amazing films, well done everyone involved in making them. Apologies to Sam Pilbeam for not screening his film Pushing Buttons, but we tried every which way to get it on screen but unfortunately we couldn’t in the end. Sam, bring another copy to Januarys Bluescreen and we will put it on first up. We will be posting up films from last nights Bluescreen on our Facebook Page and Twitter, so if you have any links to your films, please let us know and we will re-post. Another great year at Bluescreen, thanks for watching! 13/11/18 - Last Bluescreen of 2018! 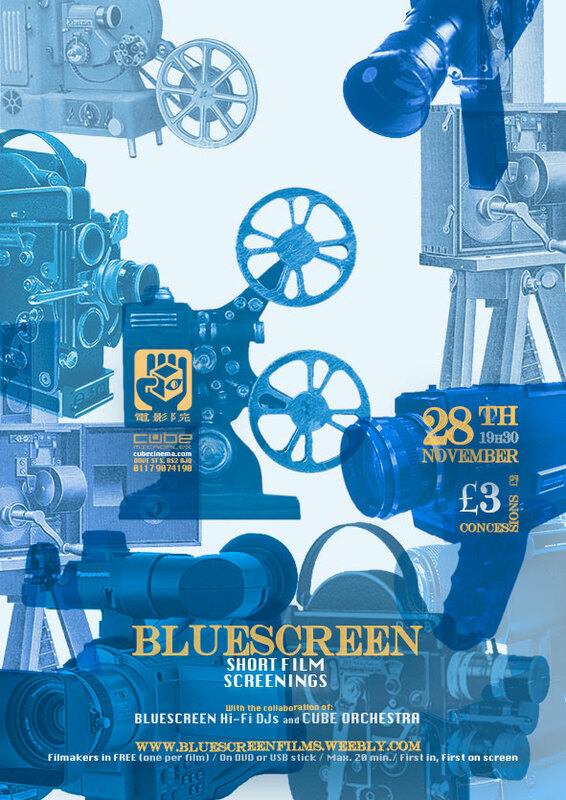 Thanks to all who have screened Films at Bluescreen this year, another bumper year of excellent films. And we have one more Bluescreen for you in 2018, coming up on Wednesday 28th November. So just a few weeks to get those final edits done! One thing to note: We have had a few problems screening Films that have really big file sizes, we can do it, but just takes longer to setup. So the smaller the file size, the easier it is for us to screen your films. On 26.09.18 we screened these Films at Bluescreen @ The Cube Cinema..
A quieter than normal Bluescreen, but none the less full of great films! 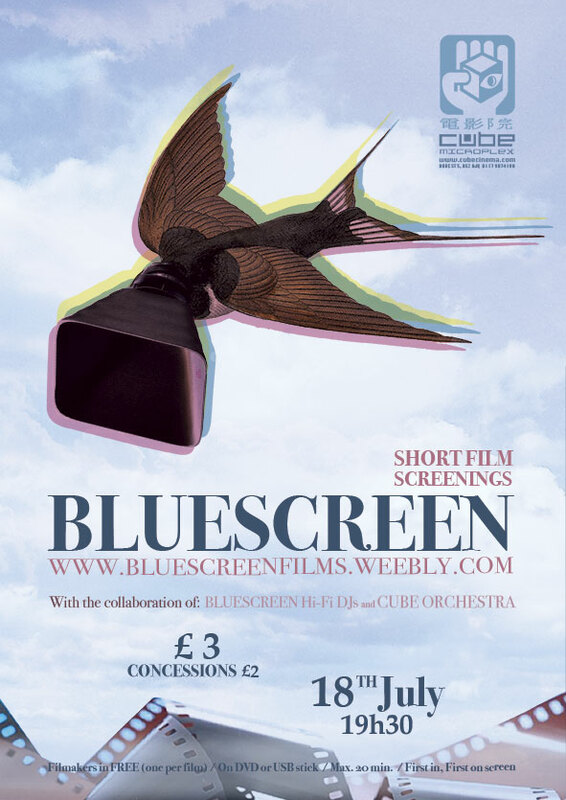 A couple of Films brought in on the night, the Cube Orchestra on form rescoring a Film screened at a previous Bluescreen and we also had chance to screen our first ever Bluescreen compilation from 2003-2005! So as ever, thanks to the Filmmakers who brought in the Films and for everyone who made it down and to the Cube staff as well. Thanks to everyone who came down, especially the Film makers, without whom there would be no Bluescreen. Great feedback on the Films and about Bluescreen in general. So well done everyone! And thanks to Encounters for inviting to be part of their Festival. 22/09/18 - Stop Press! 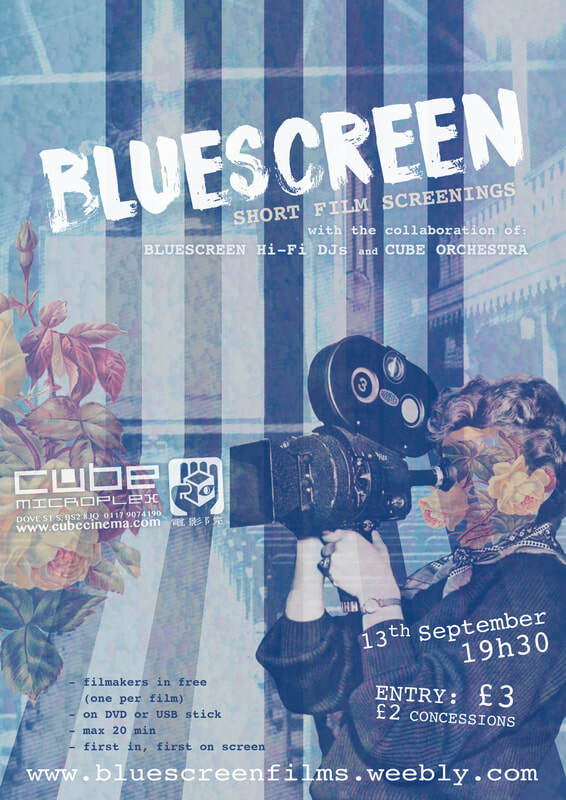 Bluescreen @ Encounters Film Festival Sept 29th @ 16.30! We've got not one, but 2 Bluescreen related events coming up next week! Bluescreen Presents: 17 Years of Open Access Film Screenings. 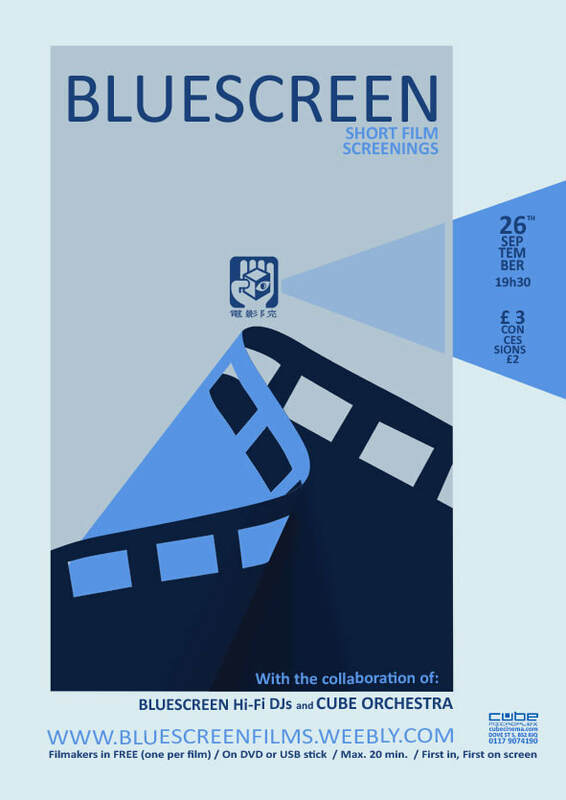 We will be doing a brief intro and then screening a bunch of Films we've selected from past Bluescreens, celebrating the last 17 years of Bluescreen. See you at one or both of these and happy Filmmaking! Another fine selection of Short Films screened! Thanks all for coming and bringing in your Films! Apols if we misspelled some of the above, but couldnt read some of your handwriting! Let us know and we can amend. If you have any links to your Films online, please send us a link, and we can repost. We will be back Sept 26th. See you then. And we will also have some exciting news soon about what we are doing at Encounters Short Film Festival, watch this spacel! At Bluescreen @ The Cube Cinema..
And we finished off the evening with a few films from the Bluescreen archive from 2007. Thanks all for bringing in the films and to everyone who came down last night, and special thanks to Dom, for stepping in to host Bluescreen last night! Normalish service will be resumed July 18th July. If you have any links to your Films online please let us know and we can re-post them and add them to our Vimeo and Youtube sites. Thanks again for coming and we will be back July 18th! 04/05/18 - Bluescreen 30/05/18 is coming! We have another Bluescreen coming to you this month and its happening on Wed 30th.. Please feel free to share on your social networks! Another fantastic night of Films! Thanks all for coming down and if you have any links to any of the above Films, please let us know and we will re-post on FB and on our Youtube/Vimeo sites too. We will be back on May 30th, good filmmaking all! 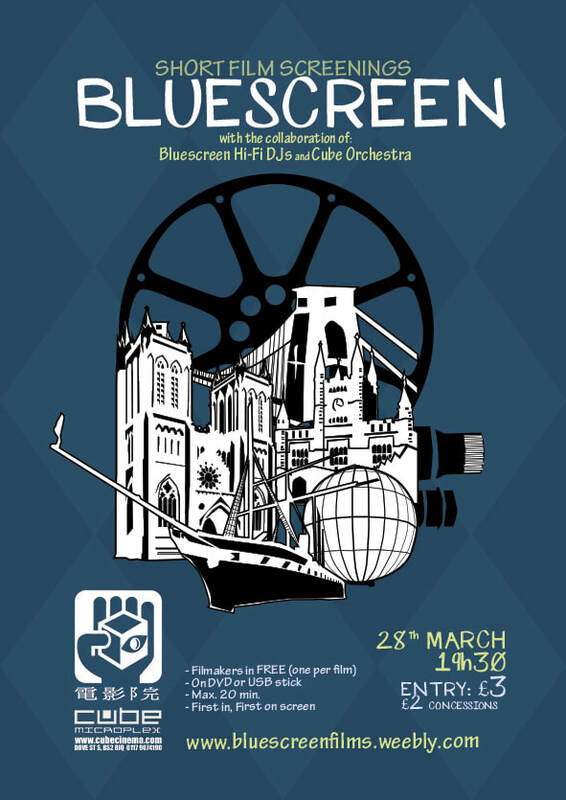 Just over a month away until Bluescreen No 2 of 2018, takes place at the Cube Cinema, Bristol. If you have any links to any of the above films, please send us a link on Facebook and we will re-post and also add them to our Vimeo/Youtube sites. We screen again March 28th, thanks again and see you all then! BUT the good news is that we are are doing it a whole 2 weeks earlier on Jan 10th instead! And see you Jan 10th! Its been a great 2017 here at Bluescreen thanks to all of you! We are back Jan 10th, see you then! Its the last Bluescreen of 2017! Please join us and bring yer films! Comedy, drama, documentary and the absurd.. just another night at Bluescreen. Apologies for only showing one name next to each film as I know some of the films involved many makers. And it was great to see so many people involved in making the films musicians and actors and producers on Wednesday. So thank you for bringing your films. 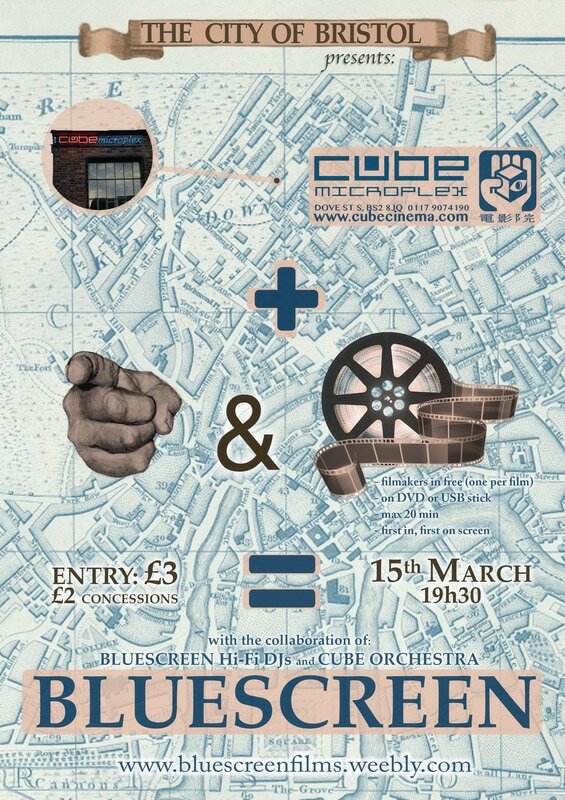 And thank you to all the Cube volunteers and the Cube Orchestra for making another interesting night of film watching at Bluescreen. We have to say we managed without Steve for one night but it wasn't the same without you. Last Bluescreen of 2017 is Nov 22nd! See you there! 07/09/17 - Sept 13th Poster! Here's what we screened last night at bluescreen…..
Another great night of films! Thanks to everyone who brought in their films and to all who came down to support and watch too. We couldn’t do this without you! If anyone has any links to their films, drop us a link and we will repost on our Facebook/Twitter pages. Also thanks to Made in Bristol TV for the pre-bluescreen interview and promo. Bluescreen is back Sept 13th, Happy Filmmaking all! And links for the event are as follows..
We are still posting Films screened at May's Bluescreen on our Twitter and Facebook Pages.. Tune in! Apologies to Denis Skachidub, who brought in Theory of Carnival. We went to play your film but realised you took it back and left before we had copied the file over. Another busy Bluescreen! 16 wonderful Films screened and over 2 hours of screentime! Thank you for the Films and for coming down. Wow what a night! 22 Films screened! A rammed to the rafters Bluescreen! And thanks to those stayed with us to the very end. Thanks for coming and bringing your films! We're off for a lie down! Any links to your films, shoot us a message on Facebook or email us. Our next Bluescreen is May 24th. See you then! 05/03/17 - Poster for March 15th! Great night! Fantastic Films! Thanks for coming! As ever if you have any links to your films let us know and we will add them to our Youtube & Vimeo sites. We have our next open screening coming up real soon..